AS he hauls an empty lobster trap from the glistening waters of Frenchman's Bay to his front yard, Maine motel owner Kyle Johnson says he's happy to talk about politics, but he's not sure he wants to give his name. Like many who voted for Donald Trump, Mr Johnson often keeps his support for the president to himself, only speaking up when he knows he's in company with shared views. "It can hurt your business if you talk about politics in this country now," he says, explaining his hesitation. "If you say you voted for Hillary Clinton, then no Republicans will come and visit, and if you say you like Trump, it drives the liberals crazy, and they won't want to come. "But I'm not a coward, so I am happy to tell you what I think." America is bracing itself for a halftime judgment of President Trump on November 6, when the midterm elections will be dissected by all sides to either affirm or decry the controversial former reality-TV star's Washington experiment. Historically midterms, which are held two years after general elections, favour the opposition party, with Republicans faring particularly well against Barack Obama in both 2010 and 2014. Up for grabs is control of the House of Representatives, just over a third of the Senate and 39 state governorships (which resemble the role of premier in Australia). Republicans currently hold both the House and Senate. In preparation, Mr Trump has ramped up his rally schedule, crisscrossing the US and revisiting several key American states that handed him the keys to the White House in 2016, with a trip to Charlotte, West Virginia next week following recent whistlestops in Montana, Florida, Pennsylvania and Ohio. While Mr Trump's flag-waving, trucker-cap wearing supporters are often portrayed loudly jeering at television cameras at his campaign-style rallies, much of his base is less outspoken, with a Zogby Analytics poll last October showing as many as four-in-ten Trump supporters keep their loyalties to themselves. 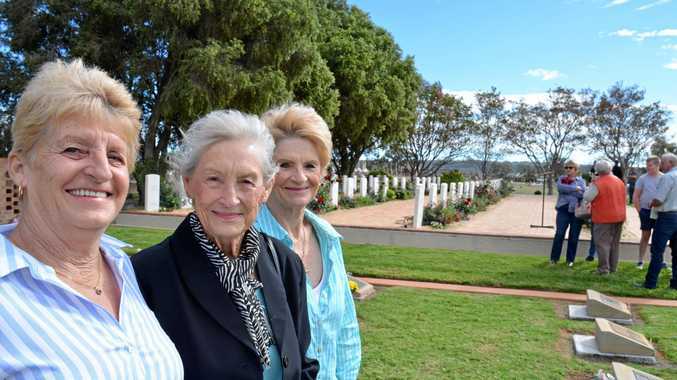 These "silent voters" were instrumental to Mr Trump's shock win over Hillary Clinton, with many pundits mistakenly handing her the victory before polling day, says veteran Democrat strategist Peter Emerson. 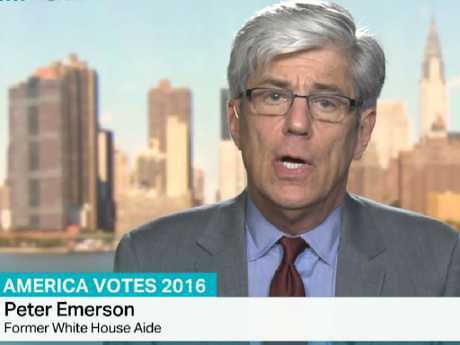 "They were a big factor in the mis-polling on Trump's campaign," said Mr Emerson, who has worked on every federal US election since 1968 and held roles in three administrations. "As Trump grew more and more incendiary, he attracted a lot of people, but a lot of people didn't want to be identified, and they are still that way. "There are a lot of them, and that makes it very difficult to again project where this is all headed." But even in the current changeable political climate, Mr Emerson said a number of indicators pointed to Republicans faring better than anticipated. While he cited Russian influence in the election (US authorities have confirmed foreign actors have already tried to influence the midterms), the main issue challenging Democrats was the lack of an effective, organised national opposition. "In theory, by history the Democrats should be the beneficiary of an extraordinary reaction to the Trump administration at these midterms," he said. "But unfortunately the Democratic party has no national coherent message. Six months ago they had a slogan 'A Better Deal'. That fell as flat as anything possibly could. "It's about as powerful as (the term) climate change, it has no emotional energy. "So then they spent another couple of hundred thousand dollars and came up with 'For The People'. So now they are going to combine the two into one slogan. Again, emotionally dead on arrival. "People don't vote with their heads, they vote with their hearts and their guts. It's all about emotion, so if you can get a policy or an issue and turn it into an emotion, then you have something." In the Democrats favour is the fact that midterms are a popular vote, rather than the electoral college system used in general elections. 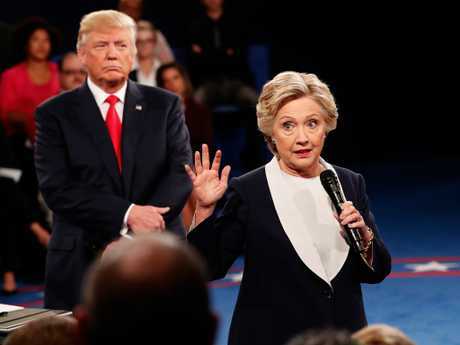 "It's important to note that in the last presidential election Hillary Clinton gained three million-plus more votes than Donald Trump, but because of …. the electoral collage, Donald Trump won. That is not in play in the midterm, so it is truly one vote, one person," Mr Emerson said. The voters who could make a difference for Democrats will be white, upper middle class young people "who are totally intolerant of bigotry and racism and prejudge and have an empathy factor that's quite high". Also in play is the Latino vote, which, while often split along social issues and its different source nations, appeared to be uniting in a protest vote against the Trump administration's hard line stance on immigration, which has seen increased deportations. "This year, all of the social issues are on the shelf. What they are concerned about is this unbelievable attack on immigration, including the separating of families," Mr Emerson said. "Because if there's anything at all that is central to the belief system and the commitment in the Latino, Hispanic community it is that it's family above all else," he said, adding that the Latino vote was "on early numbers on voter registration, at a record level". On current polling, Democrats look to narrowly take the House but not the Senate, according to political commentator Rina Shah, who said this was partly because Republicans had done better than their counterparts at overcoming the "deep divisions" that were exposed in the gruelling 2016 election. "In general, I would say since President Trump has taken office, the majority of Republicans have sort of coalesced around the president," said Ms Shah, a prominent Republican strategist who has been a vocal critic of the president. "Sitting here in August we by now have seen some results out of certain states that show us the Republicans are holding on just fine. "We haven't seen many massive blowouts where we should be surprised but frankly the biggest thing that should be surprising to 'establishment' Republicans is that the Trump candidates are faring far better than perhaps Republicans would have thought. "We just saw it this past week in a state like Minnesota where an establishment Republican was unsuccessful, as opposed to other places (where Trump-backed candidates did well). "This is really surprising to many who thought that the president's low job approval rating would make it down to the candidates that he endorses." This sentiment is echoed by Mr Emerson, who pointed out that despite Mr Trump's many controversies, his supporters remain steadfast. "There are a lot of voters in districts all over America, who no matter what Donald Trump says, finally feel that for the first time in generations, there is someone in Washington listening to them, who cares about them and is doing something on their behalf," Mr Emerson said, adding that he did not believe this was the case. "This may be the most important factor, because a lot of Democrats do not get this." 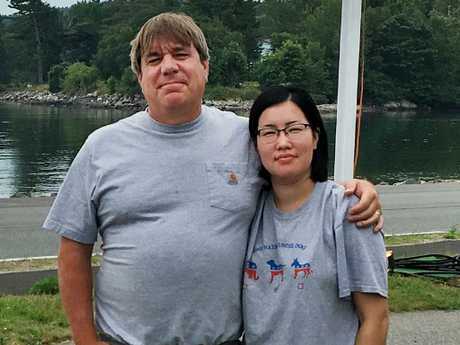 At his family business, a modest collection of small, wooden, waterfront summer cottages near Maine's Acadia national park, Mr Johnson and his doctor wife, Shynar, said that while they both had misgivings about Mr Trump's personal style, they had no regrets about how they voted. "We are very happy with how things are going," says Mr Johnson, saying the improved economy and tax cuts were most important to him. Dr Johnson said: "I don't like his tweets, I don't like the rallies when he talks in those sarcastic ways about other people and I think he needs to learn to be more professional. But overall is he is doing what he promised, and I am happy." "I think at the end of the day Trump is an outsider and he is actually speaking up for the people," she said. "He is there speaking for us, because he doesn't need money he doesn't have anything to gain by being there, he has all he needs. Other politicians don't have any money and their job is to travel around the country and promise stuff and then when they get elected they do nothing. We are a tool, and they are doing nothing for us. They are wasting time fighting and he is there fighting for us." Dr Johnson, who emigrated from Kazakhstan and will celebrate her third anniversary as an American shortly after the midterms, praised tightened immigration. "Being an immigrant, I like his policies. I came the right way to this country, I filled out all the papers, did the background checks and everything else," she said, pointing to a 30cm pile of paperwork that she had to lodge with the American government to become a citizen, in a process that took two years. "I like his policy to stop the people who came here through the borders illegally. They didn't do it the right way, and I did, but they get all the benefits. If you want to come go this country you have to accept and embrace the way they live here. "We want people who work hard, who have a degree like me. I understand they want to come for a better life, but we need to find an understanding and they need to come the right way."